Hanamatsuri is our annual commemoration of Shakyamuni Buddha’s birth. The name literally means festival of the flowers. We mark the occasion by creating an altar of fresh flowers and holding a special service. 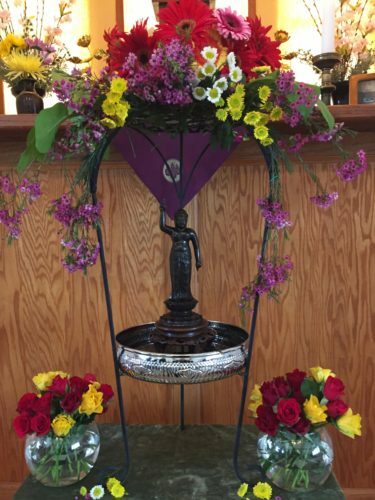 On Hanamatsuri, everyone present ceremonially bathes the baby Buddha statue with a dipper of water and offers a flower in gratitude for his entry into the world.